Travelling solo as a blogger has some very distinct advantages. Firstly it’s a lot more stress free than travelling in a pair or small group – I mean no offence to anyone I’ve had the pleasure of travelling with, I simply find it a bit more laid back going solo! Most importantly it gives me the flexibility to do what I want, when I want, and as a blogger it means I can jump on opportunities as they arise. 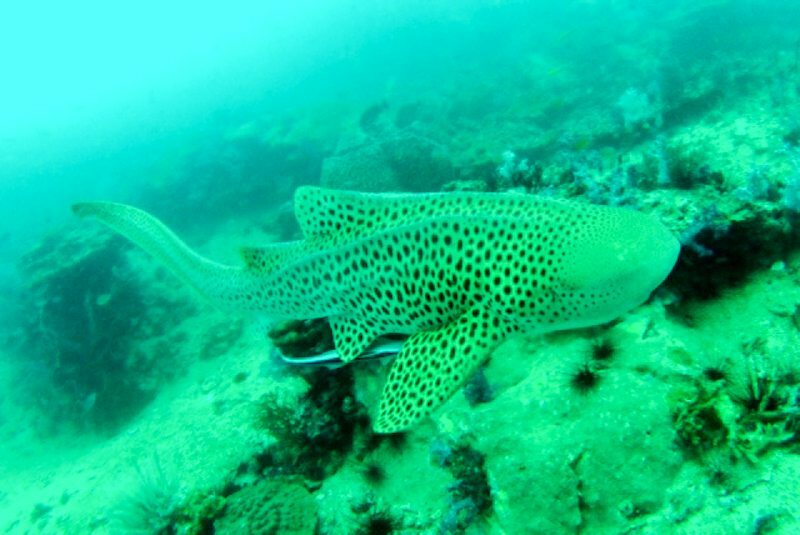 None more so than my recent dive charter trip with Khao Lak Scuba in Thailand. I was heading to bed after a few cheeky beers and it was about 1:30am. I grabbed my iPad for a cheeky check of Facebook and a notification had popped up in my email. It was a contact form email from a dive boat owner I’d met briefly over dinner through Eddie at Barakuda Scuba and I’d taken the opportunity to chuck him my business card. The email was pretty simple, he’d checked out the site, liked what he saw and invited me on a 3 day dive live aboard. Stoked! The only stipulation was I needed to be at Phi Phi pier within 30minutes! I didn’t need any persuading, I threw together the bare essentials and shoved them in my dry bag, I did however need to locate my flat mate Harriet to give her the one set of keys we have! She’d opted for a big night out with the girls so I frantically ran around town trying to find her. The Manta Queen 3 is an amazing vessel, it’s sheer size is amazing and I don think I’ve seen anything than really matches its size and facilities since I’ve been in Thailand. 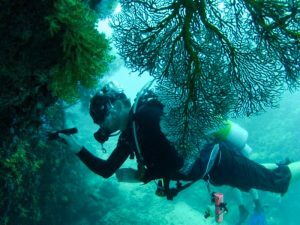 The last time I stepped aboard anything of this caliber was when I did my original dive courses in Cairns, Australia – and that came with a hefty price tag! The MQ3 is kitted out with everything you’d want for a 4 day dive trip. From the sun deck complete with hammocks, a spacious dinning and briefing deck and even a fully air conned entertainment room full of sofas, bean bags, huge flat screen and more movies than you can shake a large stick at – perfect for relaxing in the evenings or during your surface intervals. The rooms on board vary in size depending on your setup, from doubles and triples through to bunk bed style cabins – all of which have adequate space for your bags, air con and of course a sea view! Then of course is the dive deck. The MQ3 does this in equal style to the rest of the boat. It can comfortably deal with up to 40 divers so its well laid out for minimum stress. There’s inbuilt wetsuit racks and an onboard air compressor (complete with nitrox option) and the dive platform is big enough for an easy entry and exit…complete with hot showers too! The level of service from the Khao Lak Scuba crew does the boat justice. The level of professionalism is perfect yet they retain the friendly approachable vibe that you need to make a dive charter enjoyable. Before each dive we were thoroughly briefed about the site, the safety and the marine life and once you hit the water it was clear all the dive guides and instructors knew the site well and were as stoked to be in the water as were! The Thai staff were awesome too and it was always service with a smile. The dive deck guys were always on hand to help you out when kitting up, although it took some adjusting having someone put your fins on for you whilst you clipped up! 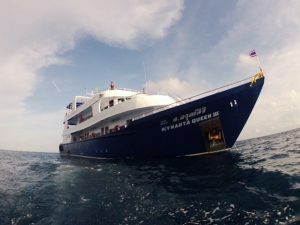 Of course the main make or break point on a dive charter is the location you explore underwater, and the Khao Lak itinerary took in some of the best site the Andaman sea has to offer. When I came to Phi Phi I had 3 sites I wanted to see; Hin Daeng, Hin Muang and the King Cruiser Wreck. Unfortunately with it being low season no dive shops on be island were running trips that far out. However the MQ3 included all of them – needless to say I was stoked to finally check them out! They didn’t disappoint either! With near perfect visibility throughout the whole trip and zero current I got to dive them at their best. Huge schools of Barakuda, Trevelly, Bat Fish and mor other species than I can count swam amongst the magnificent and pristine hard and soft corals covering these sites. Now you’re probably thinking with this level of service, this standard of boat and this range of dive sites that the live aboard comes with a crippling price tag, and I wouldn’t blame you for thinking that. 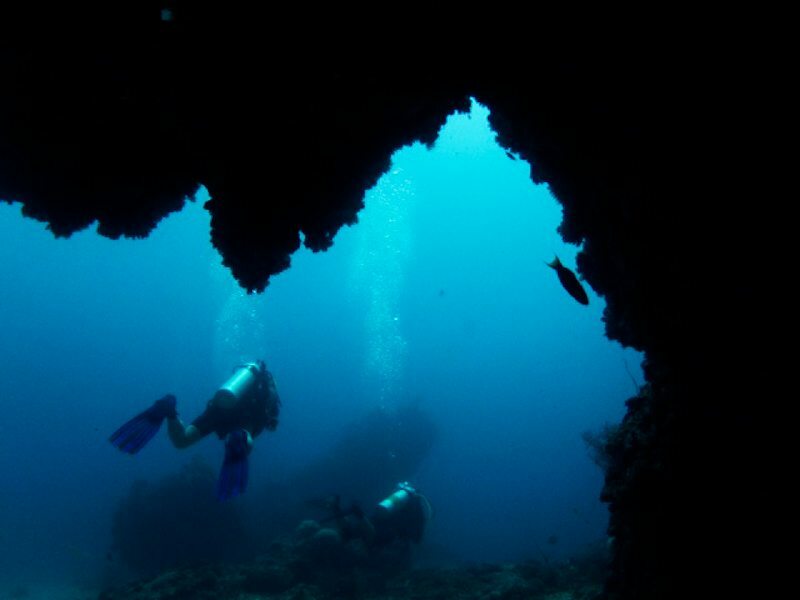 But Khao Lak Scuba aims to provide flash packer quality at backpacker prices. The full dive charter, including Phuket pickup, 11 dives (including 2 night dives) 3 nights accommodation and all meals, drinks and snacks comes in at 16,800 baht – just over £350 – for the low season, it’s slightly more in high. For anyone that’s dived before you’ll appreciate how much value for money that is! To put it in perspective one of the days includes 4 dives on the Phi Phi Islands – these alone would cost you over £120 without any accommodation! The great new too is you can do your full PADI Open water (or a number of other courses) on the boat too. In my mind if you’re looking to learn to dive as part of your Thai backpacking experience (which more and more people are) but arent too sure if you’ll dive much in the future then why not go all out and see the best the country has to offer in a little bit of luxury?! I comparison to the £700+ I paid to do the same in Australia it’s a no brainer! Overall I had an great time aboard the MQ3 and was rally blown away by the services Khao Lak Scuba offer. Having spoken to a number of other divers on board who have dived throughout the globe this opinion was mutual to everyone. The only issue I have with the whole experience is the fact it’s set the bar pretty high for any other dive trips I go on throughout my travels and I’m worried my taste for diving luxury won’t be matched very easily! 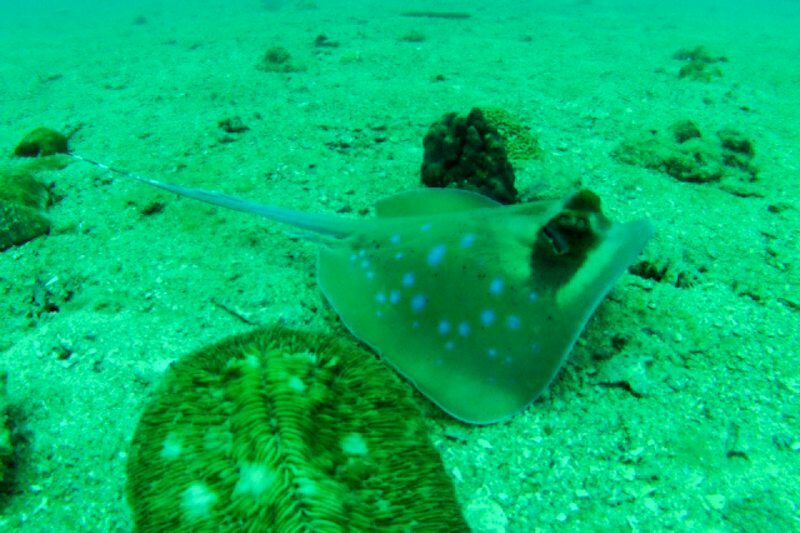 If you’re looking to hit up some dive sites during your time in Southern Thailand or become qualified then I strongly recommend checking out the Khao Lak Scuba Adventures website for some more info or having a browse through their Facebook Fanpage, which they continually update with pics and info from all their trips! You’re lucky, mate – this sounds like it was an incredible opportunity! And you’re right, travelling solo is far more relaxed than in a group or pair – but they have other advantages. it was Simon, so glad I was organised enough to get everything together so quick!haha! I do enjoy solo travel but I’m meeting up with a buddy for the next month, will be nice to have some company again! This definitely looks mint! My boyfriend and I just got our PADI Open Water back in June here in NZ, which we happened to score for half price on a daily deal site… but the cost of continuing to do Advanced dives here is atrocious! We went to Thailand in July, and considered a return trip to the islands specifically for diving at some point – so this could definitely be something we look into in the near future. I’d definately go get your advanced Kate – it’ll make you a heaps better diver! And where better to do your deep dive than the Wreck?! Let me know if you dive with KLS – they come highly recommended! You should hit up Phi Phi Island Bobbi – I dived with them pretty much everyday which was amazing – they’re so placid and relaxed! The ive aboard was heaps good though, great way to clock up some amazing dive sites in that area!